This is the first Music For the Sole 5k, which is a trail run. The race will benefit the A.C. Reynolds band program. 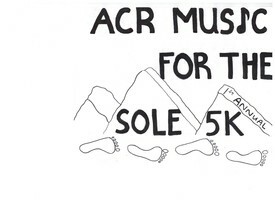 Join us for our Inaugural ACR Music for the Sole 5K Trail Run. This exciting event will bring together music lovers and trail running enthusiasts as it benefits the AC Reynolds band.